May 25th, 2011 by Roy W. Spencer, Ph. D.
This refutes the claim of a few of the global-warming-causes-everything pundits who assume that more tornadoes MUST be Gaia’s way of punishing us for providing her with more plant food (carbon dioxide). 1) The missing ingredient for tornado formation is not a lack of warm moist air, but a lack of synoptic (large) scale wind shear. 2) At least until recently, the positive phase of the Pacific Decadal Oscillation (PDO) which has predominated since the late 1970’s has suppressed strong tornado activity. Let’s look at these two issues. I’ve been trying to think of why some might assume a warmer climate would produce more tornadoes, and I suspect the main reason is that tornadoes are produced by thunderstorms, and thunderstorms require warm, moist air for fuel. Ergo, warming should lead to more tornadoes. But even here in the U.S., which is Tornado Central for the world, 99 out of 100 thunderstorms do NOT produce tornadoes. Why is this? The missing ingredient is wind shear, specifically an increase in wind speed with height, and a change in wind direction with height. So what causes this type of wind shear? It occurs in advance of low pressure areas that form along the boundary between warm and cool air masses. So, anything that increases the frequency of these conditions could lead to more tornadoes. The classic tornado situation involves a longwave low pressure trough over the western U.S., caused by an unusually cool atmosphere in the lowest 5-10 miles of the atmosphere. This has remained true for this year’s enhanced tornado activity. I suspect the persisting mountain snowpack from a very snowy winter has played a role in this. The following plot of the U.S. shows correlation between the annual number of strong (F3) to violent (F5) warm-season (March through August) tornadoes and regional temperature departures from normal. First, we see in ALL regions a negative correlation between temperature and the total number of strong to violent tornadoes in the U.S. This is basically the regional breakdown of the U.S.-average relationship shown in the first plot above, which demonstrates that the increased frequency of strong tornadoes with cooler, not warmer, temperatures. This is no doubt an indirect effect, mirroring the more frequent intrusion of unseasonably cool air masses, which cause the wind shear conditions more conducive to tornado formation. Secondly, we see that the relationship is the strongest over the western U.S. This pattern is consistent with a longwave low pressure trough over the western U.S., which favors more tornado formation for the reasons outlined above. So, the next question is, what favors unseasonably cool weather over the West during tornado season? This is where the Pacific Decadal Oscillation (PDO) comes in. The following plot shows that the positive phase of the PDO, which predominated roughly from the late 1970s up until just a few years ago, was also a period of depressed strong tornado activity in the U.S. Conversely, more strong tornadoes seem to be associated with the negative phase of the PDO. Of course, the negative PDO/more tornadoes connection will not necessarily hold every year, just as the La Nina/more hurricanes connection does not hold every year. But the major point here is that it is NOT the lack of warm air that inhibits tornado formation during tornado season…it is the lack of sufficient wind shear to cause thunderstorms to rotate. And it is the persistence of unseasonably cool air, over most of the U.S., that produces these wind shear conditions. Looking at your valuable and admirable graph I seem to see that the tornado spike of 1974 was near the minimum of the time rate of change of the PDOI. This time one might guess that the present probable spike is near the maximum of that time rate of change. It is aways about temperature. Temperature difference between layers like surface and 10000ft. The larger difference the more brobable is tornado. So when earth is cooling it causes more tornados and when it start’s warming ….opposite. Hahaha! Pardon me but this is just too funny! Had to huddle up a third time, huh? Now of course, the ENSO plays a major role in weather events, with or without all the AGW gasses. But in thread after thread here on your blog, you seem to think that the AGW gasses do absolutely nothing. If earth’s natural GHGs absorbed no heat to be returned back to the surface, (via molecular collisions) we would not exist. How can more & more GHGs not return more heat to the surface? I see from the last post that you never did apologize appropriately to Dr Spencer for your unethical and innappropriate attack. Now you post more drivel. 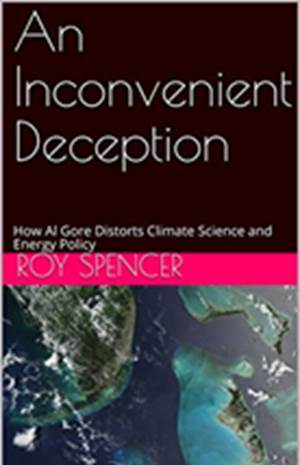 Maybe before you post you should read more of the info provided by Dr Spencer including Global Warming Background, Global Warming 101 and Research Articles and a Simple Climate Model. After you have done so. please explain why the actual number of F3 through F5 tornadoes have decreased from 1950 to 2010. Also explain why the rate of sea level rise has decreased or decelerated since 2002. Also explain why GISS found it necessary to eliminate 1934 as the warmest year on record and why it was imperative for the IPCC to eliminate the MWP and Little Ice Age from the historic records. Empirical evidence simply does not support that AGW is the sole source of the claimed unprecedented warming and the next decade will only continue to erode that hypothesis. A true scientist would be looking for other causes of the latest warming especially given the historical cyclical nature of temperature and the shift that is happening over the last eight to ten years towards cooling. The surface temperature and tornado data I am using come from NOAA…not satellites. Also, if you knew my position on AGW, you would know I have never claimed AGW greenhouse gases “do absolutely nothing”. I agree there should be *some* warming…it is the level of warming that is in dispute. I’ll make you a deal. Don’t misrepresent what I say, and I won’t misrepresent what you say. NOAA’s temperature data shows 314 consecutive months of global surface temperatures above average. (315 next Wednesday) 2010 tied 2005 as the warmest year on record. (at 1.22 (F) above average) 2011 (so far) shows no promise at all of an at or below average. (Not even close) I fail to see how this information escapes you if your using NOAA’s data. As to the dispute of the level of warming: How could there even be a dispute? When the weatherman says 85-90 degrees (when announcing temperatures for each town in the viewing area), are there any reports of a weather monitoring station saying 110 degrees? No! Are polar dwellers, like the Inuit, lying when they say there is not enough sea ice to protect their land from storm surge? Or how less plankton is disrupting the food chain in the Arctic? How about the new, iron breathing, life forms that was discovered in the Antarctic? They have been there for 1.5 million years. (living inside the hard frozen ice) If the ice were not melting there too, they would have never been discovered. Let’s say you are correct about 1934. (even though your not) Did the warming continue into the rest of that decade? No. Whatever happened in 1934 is irrelevant. I think the former inhabitants of Lohachara Island (which sank on Christmas Eve, 2006) would disagree with your decreased sea level theory. Your disrespect to Dr Spencer and misinformation contained in your posts are breathtaking. Only NOAA and GISS show increasing positive temperature anomalies while CRU-TEMP, RSS and UAH do not. There now recent studies documenting that the MWP and Little Ice Age affected to Southern Hemisphere. You are a troll in every sense of the word. Here is the link to NOAA’s State of the Climate. ” * The combined global land and ocean average surface temperature for April 2011 was the seventh warmest April on record at 14.29°C (57.76°F), which is 0.59°C (1.06°F) above the 20th century average of 13.7°C (56.7°F). This was also the 35th consecutive April with global land and ocean temperatures above the 20th century average. * The worldwide ocean surface temperature was 0.38°C (0.68°F) above the 20th century average of 16.0°C (60.9°F) and the 11th warmest April on record. * The April worldwide land surface temperature was 1.12°C (2.02°F) above the 20th century average of 8.1°C (46.5 °F)—the 6th warmest on record. * For the year-to-date, the global combined land and ocean surface temperature of 13.08°C (55.66°F) was the 14th warmest January–April period. This value is 0.48°C (0.86°F) above the 20th century average. This is the April link but you can easily get archive information from there. Also, Dan Zeise didn’t say that the sea level had decreased, he said that the rate of rise had decreased. Also, if global temperatures are still rising, why was this January to April not the warmest on record, not the 14th warmest? According to NOAA’s own temperature anomaly data, the 10 year linear trend in temperatures went negative in February 2011 and was -0.18c per century in April 2011, compared to +0.87c per century in April 2010 and +1.1c per century in April 2009. The 10 year linear trend based on NOAA data reached a peak of about 3.61c/century in June 2002 and has been generally falling since. The last time the 10 year linear trend was negative was in April 1979. The 10 year linear trends for HadCRUT3 and RSS are also negative, and those for GISTEMP and UAH are falling and will probably be negative soon. Dragontide provides rich fodder for refutation. It is great we have a free country for expression, and it is great that Dr. Spencer provides a blog for free exchange of scientific inquiries. But it is unfortunate when a troll takes over a scientific blog. Dragontide is either not interested in a scientific discourse or not capable of understanding scientific research and relevant facts. I am seen similar trolls destroy similar open blogs, and it is regrettable. I do not offer the following to Dragontide because he has demonstrated a closed mind. However, I offer the following information in case there is a casual reader who may be confused by Dragontide’s accusations. Lohachara Island did not sink because of global warming or rising sea levels. Like other temporary islands in the Bengali delta, it faced challenges from mangrove destruction, subsidence of land, and manmade practices on river flow. The history of Lohachara Island is intertwined with the Farakka Barrage which diverted water in the Hoogly River. This island and others are better described as mangrove stabilized mud flats in a major river delta. Due to annual monsoons and frequent cyclones, some “islands” will disappear … and new ones will appear. This type of disappearance and emergence has been noted in coastal regions all over the world for thousands of years. Satellite pictures show that Lohachara Island did not sink; rather it was washed away as has been the fate of similar similarly situated “islands” for centuries. Neighboring pieces of land actually grew in size during the same period. All of these developments are typical in the Bengali delta. Other Dragontide apocalyptic claims can be similarly deconstructed – if people are interested. BTW, there are times that I disagree with Dr. Spencer. For example, I think that it is a mistake to leave up the Discover webpage in its current state. The graphs with text on website are misleading about what they actually are. Either, the descriptions should be updated to reflect what currently is on the graph, or the graphs should be dismantled. Dragontide obviously has no scientific background or knowledge. It is pure political hype and memorized arbitrary talking points coming from dragontide. I am no longer going to waste any time responding to such drivel. However, I fully appreciate that such drivel is being posted since it is the mainstay of the AGW crowd and having it posted helps demonstrate how unscientific and faith based their case is. “NOAA’s temperature data shows 314 consecutive months of global surface temperatures above average. due to sea level rise and a quick internet search soon confirmed that the evidence was weak, to say the least. The story seems to have originated in the “Independent” newspaper and was repeated elsewhere, without verification. I wonder if Geoffrey Lean ever published a correction? When such claims appear in “reputable” newspapers, it is hardly surprising that some people believe it. I am afraid that this is all part of the inexorable “climate change” propaganda machine and that the old adage that “a lie can be half way around the world before the truth has got it’s boots on”, was never truer than today in relation to “climate change”. The fact that the 10 year “satellite” trend for April is negative is further confirmation that the annual trend is declining and will probably be negative in the near future. However, because this is part of a cyclical pattern against a background of general warming, we cannot assume that this will continue for very long, and it is likely that the 10 year trend for the major data sets will only decline for about 2-3 years and remain negative for about 5-6 years. That’s not how AGW works. The AGW gasses do not create heat. The heat comes natural. We don’t have a moderate to powerful El-Nino every year. The gasses absorb the heat. Then returns the heat to the surface, via molecular collisions. When 2006 was not as warm as 2005, the skeptics were claiming global warming was over and done with. But then the world temperature never dropped to at or below average from 2006 and beyond, did it? April 2011 was the 35th consecutive April with the world temperature above average. What should we be more concerned about at that point, would it be global warming or global cooling? IMHO the issue isn’t long-term warming, but the rate at which it is warming. predicted by most of the models, even in the “commitment” scenario, which assumed zero growth of greenhouse gasses from 2000. Presumably the effect of El-Nino is in the models, so something else must be missing. You have to accept that we are entering a temporary period of short-term cooling which was no predicted by most of the IPCC models. It May 28th and raining in Central California. The temperature yesterday was a high of 64 degrees in San Jose. this is 13 degrees below avg. It is been this way since March. We have had few days above 70 degrees the entire spring. It has also been very windy. I have lived here all of my life, 50 years, and don’t remember this kind of spring. Point is not to use this “strange” weather as proof of any global even (unlike the warmists), but to say that even an amateur like me knew that this was linked to the Tornado’s, even before reading it on this site and others. I am seeing this to be a true statement, and it really worries me. And I am a liberal democrat! It depends what happens in the months and years leading up to the year 2021. How many times will the 2010 record (1.21 (F) above average be broken? Since March, 1985, the ENSO has gone back & forth, back & forth with weak, moderate and powerful El-Ninos and La-Ninas. In 1991, the 2nd most powerful volcano eruption of the 20th century occurred. (Mt Pinatuba) Solar cycles have come and gone. The earth’s precession is in it’s “glacial” stage and will be so for another 6000 years. Yet not one single month has the world temperature fell back down to average, during that time. You tell me. What can cause that? I can only come up with the AGW gasses and way back when the earth had a warmer bedrock. What else is left? I fail to see how anybody could take a “global cooling” claim seriously without at least one, single month of an at or below average world temperature to back it up. Now please follow through with your investigation. How much will those below average temps in San Jose bring down the world temperature for the month of May? Could this finally be the month the world temperature gets back down to average? (after waiting 26+ years) The answer coming soon on May’s “State of the Climate” report. It’s too bad that disease has no opinions. Extreme weather is one thing, but disease is the real threat of AGW. Long term warming allows disease to thrive. We have had Bird-Flu and Swine-Flu in the past few years. When the toxic, roulette wheel lands on “Pox”, you will change your opinion about long term warming, IMHO. I can only hope we will both survive it. El-Nino is part of the current global warming process. The fact that the heat from them cannot make the natural journey into space is the problem. (due to the the AGW gasses) What you call “short term cooling” is just the effects of La-Nina. 2010 came in at #1. (at 1.21 (F) above average) If 2011 comes in at #14, that does not mean global warming is over. If powerful El-Ninos would occur only once every 30 years or so, I think the AGW gasses would not be a problem. But we have to play the cards we were dealt. So you are of that kind who believe that viruses spread better in hot climate than cool one. I’m still of the other kind who rhetorically ask themselves why flu viruses spread in winter instead, and rarely in summer. Even if you were right in that, please note that the currently temperature delta in last century is less than 1°C. Do you really believe that someone could ever statistically link that epidemiological facts to the GW??? Perhaps a longer term perspective is needed. Some people may not believe a global MWP and a global LIA existed, however it seems to me the scientific evidence is very clear that a MWP existed and that temperatures got much lower later due to natural forces. You may be right that an increase of 0.011% in CO2 from 280 ppm to 390 ppm can overcome the forces that caused cooling after the MWP, but at the moment, the scientific evidence is not that convincing to me. In the meantime, money should be spent on fighting real pollution because CO2 does not appear to be nearly as bad as the IPCC projected it to be. I think the PDO – tornado connection you show here is very interesting, but I was wondering if you have any idea what would cause the apparent lag between PDO changes and tornado frequency changes in your charts above? I ran across, what I think, an interesting article off icecap. In it is explains on how CO2 and Water Vapor have sort of a cooling effect. Do you think that this article is an accurate assessment?? It does make sense in a way, for the reason of there is more energy from the sun to the earth, than there is from earth to the sky. Which I that brings up the point the people at the IPCC are really only looking at the night time effect (insulating effect) than the day time effect. Lets think, when we have clouds during the day, the temperatures are cooler, however, if clouds are present at night then temperatures hold or fluctuate, but they don’t really rise a large amount. So, it really doesn’t make sense to say that increased CO2 would cause a large warming affect from energy traveling from the earth to the sky when there is a lot more energy from the sun to earth that would then radiate back to space. Do you think that this would be an accurate way of looking at this?? ect numbers, locations, and strengths of tornadoes in the United States. ect, if any, that they would have on: 1) Total tornado numbers, 2) Violent tornado track length,3) Violent tornado numbers, and 4) >40 tornado outbreaks. Little difference was found in total tornado numbers between El Nino and La Nina events. However, significant dfferences were found in the number of violent tornadoes, and in large number tornado outbreaks. La Nina event years were found to have longer than average track lengths, more violent tornadoes, and a good probability of having an outbreak of 40 or more tornadoes. El Nino event years were found to have shorter than average track lengths, less violent tornadoes, and only a slim possibility of having an outbreak. Possible reasons for the above conclusions include: 1) Warmer than normal temperatures in the western U.S./Canada along with cooler than normal temperatures in the southern U.S. during El Nino years; and 2) Colder than normal temperatures in the western U.S./Canada along with warmer than normal temperatures in the southern U.S. during La Nina years. This would act to weaken/strengthen the interactions between warm and cold air in the midwest U.S. during El Nino/La Nina event years and decrease/increase the numbers and lengths of violent tornadoes. In 1963 the U.S Fish and Wildlife Service estimated there were fewer than 500 breeding pairs of Bald Eagles left in the United States. In 2006 that number had grown to nearly 10,000. Yet there are still people who curse ‘government regulation.’ They deny that the EPA’s ban on DDT had anything to do with the resurgence. If we’d believed in their ideology – as opposed to the best science available – the Bald Eagle would be extinct in the wild. When I first started becoming interested in Global Warming the deniers claimed the earth wasn’t warming; then they said it might be warming, but humans have nothing to do with it; then it was, well, humans may contribute a minuscule amount. Meanwhile, all the facts seem to show the earth is warming faster than even the alarmists of 20, or 10, or just 5 years ago predicted. The IPCC reports are outdated before the ink has dried – and the newest data always show the reports to have been *TOO* conservative in estimating effects. It would appear that we’ve delayed too long. The Arctic Ocean will be ice free in my lifetime. 20 years ago I would have guessed in my grandchildren’s lifetime; 10 years ago I would have guessed in my children’s lifetime. In this sense the deniers have ‘won’ – they obfuscated the issue until any action taken would be too late. This Bald Eagle can’t be saved. I don’t know what all the ramifications will be … I won’t be around to see most of them, but it’s difficult to watch the world as we know it change (in all likelihood for the worse) because a bunch of know-nothings are able to shout down the best scientific minds of a generation. And when I first heard things, several mainstream scientists thought there was global cooling/a new ice age. Well now it’s global warming? Wow, they change their minds too! So 10 years ago and 5 years ago the alarmists were predicting cooling? Do you have a reference for that? Considering there hasn’t been warming since then, they must’ve predicted cooling! Not sure about 20 or 10 years ago, but if anything, the warming predictions of 5 years ago, in the form of the majority of IPCC AR4 model scenarios have so far proved to be too high, not too low. Yes, the reports are outdated, but for the opposite reasons you suggest. If there has been a lack of action on “climate change”, don’t blame the “deniers”, but blame the politicians, who despite the pretence of accepting the evidence, continue to encourage activities which are directly contradictory to that evidence. This goes far beyond the “theoretical” threat of “climate change” and covers more general environmental damage, such as the continued destruction of rain forests in order to support ultimately unsustainable economic growth. 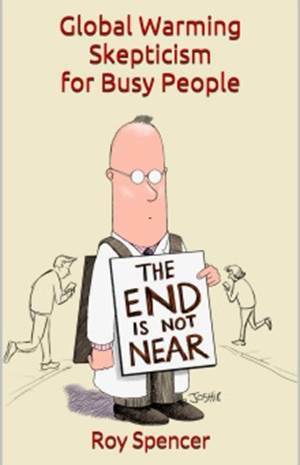 If you have children and grandchildren, then you are yourself partially responsible for helping to cause the rapid growth in human population which makes economic growth necessary and which will ultimately result in the destruction of the natural world. You speak from a position of ignorance – i.e., you know nothing about me. In a Malthusian world I’m a net negative to the world’s population. If everyone were like me the world’s population would be cut in half in a generation. It’s difficult to even have a dialog with some people. We do not live in a black and white world, but apparently that’s all you can conceive. The choices are not simply warming or cooling. There are infinite amounts and rates of warming (or cooling). If, 20 years ago, scientists predicted an ice-free Arctic Ocean by 2200, and 10 years ago changed their prediction to 2100, followed that 5 years later by suggesting 2060, and three years later made it 2040, and now say it could well be 2030 or 2020 – then you’d have a situation like I’m describing. So, ten years ago they weren’t predicting cooling, they just didn’t realize how quickly the Arctic was warming. Every one of their past predictions was too conservative. As for the canard that scientists in the 1970’s were predicting global cooling, that’s a misleading characterization. You can always find one or two scientists that are going against the grain, but the vast majority of the scientific literature in the 1960’s and 1970’s predicted global warming. I believe a study that looked at precisely this question found 44 articles predicting global warming and 7 predicting global cooling (peer-reviewed journals from 1965 to 1979). The question is: Didn’t you know this already? If not, why not? It’s a common denier myth and easily debunked. If you’re reading sources that use this argument, then you’re reading the wrong sources. On the other hand, if you did know the answer already, then you’re trying to ‘win’ an argument by ignoring the actual facts … which means you’re not really interested in the truth, just interested in scoring debating points. In either case, you’ve displayed a poor grasp of the history of scientific consensus vis a vis global warming. Scutt: “So 10 years ago and 5 years ago the alarmists were predicting cooling? Do you have a reference for that? Considering there hasn’t been warming since then, they must’ve predicted cooling! The hottest 12-month period ever recorded was from June 2009 to May 2010. Why you think there’s been global cooling the last 10 years is beyond me. I suppose one could cherry-pick data and use some arbitrary baseline to make it look like the earth has been ‘cooling’ – but that would be a debating trick – not science. Tell me, has Arctic sea ice volume reflected this alleged global cooling? Do you believe the Arctic Ocean will be ice-free in the near future? What are the global ramifications of an ice-free Arctic Ocean? So, if a negative slope is more warming than predicted, then the alarmists HAD to be predicting a cooling trend 10 years ago, right? I guess that HADCRUT3 data must be “beyond you”. And no, I don’t think there’s signficant global cooling, but clearly there’s been no warming. Meanwhile, all the facts seem to show the earth is warming faster than even the alarmists of 20, or 10, or just 5 years ago predicted. So yeah, I think there’s your answer. and 2.) Think man has a significant (measurable) impact on that warming. Yet you give me a lecture on degrees of warming? Scott: I don’t know if you’re playing a semantic game or not. What do we mean when we say the Earth is warming? We mean that the average of global land, sea, and air temperatures are increasing. Increasing in reference to what? Increasing in reference to some baseline period we consider ‘normal’. Now, the past 10 years include several of the warmest years *ever* recorded. The only way to make a claim that the earth is cooling over that period is to twist the meaning of global warming into something nonsensical. Look at the period from 2000-2011 or 2006 to 2011. The trend line is clearly sloping upward. But it’s true, you can choose a short time-period and get a graph with the trend sloping down. But to use that to claim the earth is cooling? Global temperature is not a simple linear function. Yes, even in a period of warming there is enough variability that some years will be lower than previous years, but to choose the warmest decade in the dataset and somehow construe that as evidence of global cooling is pure and utter nonsense. Kevin: Yes, you are right. For 2000-2011 the trend line goes upward…Well, by 0.03 centigrade in 11 years. Now tell me what was the ‘conservative’ prediction for per decade warming rate? The conservative predictions have always been around .1 degree C per decade. I think the decade of 2001 – 2010 was about .2 degrees C warmer than the decade 1991 – 2000. HADCRUT3 has it at 0.206 C, so you’re right about that. Of course, we had been discussing 10-year trendlines, and not 10 year averages. But that’s okay, I made a comment about this type of switching on another blog a week or two ago, so I was ready for it, and in this case I’ll just accept it. Why? Because lets use that approach for your other claim of 5 years. Using the same approach, the 5-year average from 2001-2005 to 2006-2010 dropped by 0.013 C.
So you shifted the goalposts for a 10-year field goal, but lost the 5-year field goal by doing so. Unless you have predictions of cooling made in 2005? Scott – I guess I was confused by your discussion of the article – and not the paper. You linked to the article, commented on what the article said, and never once quoted the actual paper (Peterson et al). Sorry, for the confusion. My point remains. The authors considered it a myth – enough so to warrant its debunking. The paper also makes clear that the scientific consensus *HASN’T* changed in more than 50 years. The earth is warming and humans have a part in it. These two tenets have been stated at the highest levels of science going back to at least 1965. The President’s Science Advisory Committee warned that year that CO2 emissions could by the year 2000 be sufficient to cause “measurable and perhaps marked” climate change. You draw a false analogy between scientists who, at some time in the past, may not have accepted global warming and deniers. Deniers deny the science – hence the name. I’m not going to go into specifics of the individual scientists you name because it’s not important – except to say they’ve changed their views to be in accord with the best science available. That’s the way science is supposed to work. Why would it logically follow that they were making 5 or 10 year predictions? That’s just something you’ve thrown in. Generally a warming per decade does accompany these predictions, but it’s usually just a longer 100 year prediction simply divided by 10. Even comparing decades can be misleading, but looking at 5 year averages is almost meaningless. Especially since no one I’ve ever read deals in 5 year predictions. When I said the effects have been underestimated I was thinking specifically of the arctic. Temperature is not an effect – it *is* global warming. The effects are the results of the increased temperature. 1. If it is a La Nina period just compare the latest monthly figure to a smoothed temporal average from 10 years ago or so (see Epsen above). Since the current temperature is below the average of ten years ago, you can conclude warming has stopped. 2a. Alternate analysis: If the temperature is rising after a long fall to La Nina, claim the data must have been tampered with (see this site when Apr. 2011 data came out). Conclude whatever you want, since you can decide what the data should have been before it was tampered with. 3. If we are near an El Nino, compare temperatures to 1998 or some month in Precambrian times. Conclude no warming. 4. If we just passed an El Nino local max, compare to the last month with higher temperatures. Conclude global cooling has started. 5. If we are transitioning from El Nino to La Nino, make a big stink about rapid cooling. Conclude cooling will continue for the next decade. 6. If you aren’t sure what is going on, just say it is really cold where you are. Freakishly cold. It helps if you say you are 109 years old and it has never in your life been this cold. Conclude that climate change is a hoax. Averaging data over periods longer than full ENSO cycles should be avoided since it tends to reduce the variability and produce lines with a persistent positive slope. If you do average over longer times, always label from the start or middle of the averaging window so that it appears as if the data from the last few year aren’t included. The “average” baseline should be periodically adjusted to reflect better measurements. Personally, I think that the average should be reset every 10 years or less. After all, it is more relevant to compare temperatures to recent data so that we can better see how the cooling has begun. Hope that helps. Just read the comments here for a full ENSO cycle and you will get the hang of it. CJ – That was really good, thanks for the laugh! Grr, I had a much longer response typed, but it didn’t submit properly. That’s okay, Steiger summed it up much better than I did with a single question. And since I never said it was “cooling”, I think that part of your argument doesn’t need to be addressed further. “Global warming — with an accompanying rise in floods and droughts — is fueling the spread of epidemics in areas unprepared for the diseases, say many health experts worldwide. Mosquitoes, ticks, mice and other carriers are surviving warmer winters and expanding their range, bringing health threats with them. What is the strongest evidence there is of a tangible MWP? It’s the testimony of Erik the Red, isn’t it? A thief and murderer, gets banished from Iceland, finds a landing near a massive chuck of ice and calls it “Greenland” to fool people into joining him to build a community. It seems to me that if the MWP was worthy of have the word “warming” in it, the Inuit would have mentioned it in their history. It also seems to me that if the earth was as warm in the MWP as it is now, those new micro life forms that were discovered in Antarctica (after living deep within the ice for 1.5 million years) would have spilled into the ocean then instead of now. My theory about less ice/more water at the poles (the fact that water absorbs more heat than ice which forces polar air farther away, more often, from the poles) seems to have gained a little more merit. It happened last winter in the northern hemisphere and now it’s happening in the southern hemisphere. Very cold temperatures in parts of Australia recently. God help them when the warm air returns. OUCH! It’s very disappointing to me reading how people like you can ascribe so much events to the GW, while the current measured increase in temperature in the last century is so tiny as 1°C. I should write “supposed measured”, because having a lot of professional experience in measuring and handling of measurement errors, reading how those measurements were taken I just wonder how could some scientist just spend their time on that. Anyways, the incredible for me is that the temperature delta which should have triggered so much events seems to be lower than that 1°C, because people like you assert that they can see the worsening in last 20/30 years. This sounds crazy for me because the uncertainties of the measurements done should void any statistical correlation to the events you reported. But, I know, that’s just a question of faith. For this reason is much better for me don’t spend any time on this issue. Oh… I like your citation of “a thief and murderer” such as Eric the Red about the MWP to discredit the existence of that event, but he doesn’t seem the only source for that. So, let’s be clear – you introduced the idea of global cooling to the discussion; claiming scientists first predicted global cooling, then changed their minds and now believe there is global warming. I answered this old canard and asked you a question – a question you’ve not answered. Now, you claim to believe in the scientific basis for AGW. If so, then why were you repeating denier myths? So, let’s be clear – you introduced the idea of global cooling to the discussion; claiming scientists first predicted global cooling, then changed their minds and now believe there is global warming. Ah, this was in my post that got sucked up and I didn’t have time to retype it earlier, so I’ll address it now. Why you think there’s been global cooling the last 10 years is beyond me. I answered this old canard and asked you a question – a question you’ve not answered. Now, you claim to believe in the scientific basis for AGW. If so, then why were you repeating denier myths? Paul Ehrlich and John Holdren…in chapter 6 of the book Global ecology : readings toward a rational strategy for man, they discuss potential disasters from manmade global cooling. But, just like that article, you equivocated what the skeptics claim (“scientists”) with what you want to hear (and thus, the myth) “scientific consensus” (that’s quoting the article, not you.) No, there wasn’t a scientific consensus then, at least not that I know of, nor did I say there was. But take Holdren for example…if changing one’s views over time is so wrong, then why are you not up in arms about Holdren’s position as President Obama’s scientific advisory role? Shouldn’t you be asking for his resignation? Or is it because he agrees with the current “consensus” that you don’t treat him like skeptics? Now maybe you’ll say that I’m again arguing semantics, but “not warming” is not the same as “cooling”, and several scientists is not that same as a consensus, which is where the truth disappears and the myth begins. Now, given my above response to your question…will you please answer Steiger’s question? An enduring popular myth suggests that in the 1970s the climate science community was predicting “global cooling” and an “imminent” ice age, an observation frequently used by those who would undermine what climate scientists say today about the prospect of global warming. A review of the literature suggests that, to the contrary, greenhouse warming even then dominated scientists’ thinking about the most important forces shaping Earth’s climate on human time scales. More importantly than showing the falsehood of the myth, this review shows the important way scientists of the time built the foundation on which the cohesive enterprise of modern climate science now rests. So, the literature is clear – and the researchers themselves used the term ‘myth.’ Perhaps *you* don’t consider it a myth, but they did and I do. And you were repeating it. Did you use enough weasel words to make your statement technically true – yes, and that’s what deniers do: Obfuscate the truth without actually telling outright lies. Otherwise there was no reason to object to that portion of my original post in the first place. Well CJ is going to be disappointed with how this discussion ended, LOL. Scott: No, I didn’t get my views from a popular website. I read the actual paper. Are you a non-native English speaker? You got…your information…from the source…discussed in this article. The source discussed in the article is…wait for it…”the actual paper.” What part of that wasn’t clear? Did I miss any? You seem to read what you want to read, and when called out on it you blame semantics. So if skeptics shouldn’t be changing their views on the subject, then why is it okay for Holdren to have done so? Ehrlich? Schneider? And CJ, I’m sorry, but we didn’t stay “new to this” for very long, LOL! Kevin: I think you were the one talking about ‘cherry picking’ by ‘deniers’. Yet, it seems you chose the 1990-2000 decade which is (as far as I can read the charts) the ONLY decade with 0.2 C warming. The last decade really shows no trend to me. Correct me please if I read it wrong. Thank you. In your post, you mentioned “your” children and “your” grandchildren, which implies at least 2 of each, which is only marginally below the replacement level, which I don’t think would half the population in a generation. My apologies if I have mistakenly jumped to the conclusion that this meant that you actually had children and grandchildren. Also in your post you implied that if the world failed to take action against climate change, and all of the dire predictions came true, that it would be the “deniers” who were responsible. No it wouldn’t, it would be the responsibility of the hypocrites who claim to believe in “climate change” and yet continue with lifestyles which contradict that belief and the scientists, who would have been unable to counter the arguments of a few misinformed sceptics. Vis a vis children and grandchildren. You need to think a little more creatively. There are stepchildren, adopted children , foster children and biological children. I have one biological child. I actually don’t have any grandchildren yet – so it’s possible we could completely wipe out the human population in two generations if everyone followed my example. THE GLOBAL WARMERS ARE FULL OF BS ,NUMBER 1, AND HAVE BEEN AND ARE BEING PROVEN WRONG ON EVERY COUNT. The sun, has had a spurt of activity, expect an increase in geological activity, and severe thunderstroms/tornadoes May31 through the first week of June. Solar activity still very low, with flux 111, but that is a jump from 82 a few days back, and the difference is important, among other items. Piers Corbyn ,has been right on and put’s standard weather forecasting to shame. 1. They predicted dry weather ,drought for Australia reality floods. They predicted dry conditions for the U.S.A.
2. They predicted a troposheric hot spot near the equator ,with more El Ninos. Reality, no troposheric hot spot,a very strong La Nina, which will be back again later this year, into 2012. 3. THIS IS THE ONE THAT STANDS OUT. They said over and over and over again the atmosphere would evolve into an ever increasing +AO ,with less extreme weather. Reality is the atmopheric circulation, has been evolving into an ever increasing -AO circulation, with more extremes in weather n since around 2007, which can be tied to the prolong solar minimum whcih started around Nov.2005. 4. They said global temperatures would be increasing . Reality is, they have been cooling since 2002, and have cooled significantly since the summer of 2010. La Nina. 5. They are expecting a dry, warmer ,and quieter climate going forward. The reality will be ,a wetter,cooler,more active climate going forward. 6. All their so called positive feedbacks are nothing but fiction. The global warming fraud is just what it is a FRAUD, which is based on money and not science. 7. THIS WILL BE THE DECADE OF GLOBAL COOLING, THE DECADE OF INCREASE GEOLOGICAL ACTIVITY, THE DECADE OF WEATHER EXTERMES. 8.Years 2011 and 2012 ,will have cooler temp. then 2010. CATRUN J- you can’t isolate climate events ,and very small time periods, to try to reach a conclusion the way you are trying to convey,for the climate. It does not work that way. Again ,I have my predictions, which I have made, as long as 2 years ago , which I once again put on my previous post. I would say up to this point, I have every reason to be very confident. It is amazing how hardly anyone has any understanding of the solar/climatic relationship. I can see that by reading the various commentary on it just from this board. 1. The normal 11 year sunspot cycle is essentially meaningless when it comes to climate change. 2. It is the prolong solar minimum that is needed,which we have now entered. 3. Lag times have to be appreciated, since climate is more tied into the 22 yr. Hale magnetic cycle,within the prolong solar minimum. 4. Solar acitivy up to Nov. 2005, was very high with not one prolong solar minimum ,the last one being 1790-1840. 5. Everyone thinks instant change, when the sun changes ,it does not work that way, this has to evolve over time,and it is and it will. 6. This solar cycle 24 ,and solar cycle 25 to follow, will be as deep or deeper then the Dalton Minimum, and I believe wil end the HOAX of global warming due to man and his associated contribution to greenhouse gasses. That is the joke of the century, stupid beyond belief. Wow! …Just …. WOW! So in your opinion, when that number reaches 2, then 3, there would still be no danger? In your opinion, small numbers don’t count? What’s the size of a black widow spider, in comparison to that of a human? How about a germ? You disappoint me Massimo. The MWP was just a burp. I see that 1.5 million year old ice melting now instead of during the MWP and the Inuit history aspect are solid facts that you chose to ignore. Watch a cop show or something for heaven’s sake. You can never reach the correct conclusion of anything without all the facts. My last opinion (the last because I don’t wanna lose my time with you no more) is that dealing with values less than 1°C when the measurements have uncertainties greater than the value you want to appreciate is just a craziness. I don’t know if you ever worked in the real world of industries, but if I gave to a customer a graph like the one at NOAA you linked, my customer probably kicked me off from his factory. Note that that graph not only has uncertainties grater than the trend line it would show, but it is made by different sources along the years. It is the famous graph which the University of East Anglia University had to admit it was made superimposing almost unreliable proxies such as tree rings and the thermometric measurements from 1870. Just visit Steve McIntyre’s blog at http_:_//_climateaudit.org if you want a detailed refusal of the usefulness of that graph. The incredible is that after the UEA admitted that that graph was meaningless, and Dr. Jones admitted that he got no proof that these times we currently live are the warmer of the last millennium, NOAA still use that as a proof for that. Only 7.9% of the stations give measurements as 1°C. And this is the situation in the USA, the rest of the world is worse. Have a nice day, I would continue to work in the industrial world were anything is measured the right way, because reliability is not an option. All the satellites with solar irradiance measuring devices attached to them show no such increase in solar activity. Solar activity has been low since the mid 80s and is still low. Is there any correlation between extremely high winter snow pack levels in the mountains and tornado outbreaks on the plains and southern US? Albedo effect feeding larger temperature variances? Stronger cold fronts? CORRECTION DRAGONTIDE- Solar activity has been very high up untill 2005. So you need to review the data. Each time the sun enters a new epitrochoid cycle ,solar output of all types starts to decline. The sun’s last epitrochoid cycle, prior to this ,started in 1790, and resulted in the Dalton Minimum. This latest epitrochoid cycle started in 1996 ,and will result in a period of cold ,similar or colder then the Dalton Minimum. Epitrochoid cycle ,is a retrograde cycle for the sun. One must keep in mind ,that the sun’s impact on climate is very non linear, and very stochastic (random). This makes the solar climate relationship non ergodic. Which is one of inconsisteny. We live in a non ergodic world ,which means, many times there is no underlying structure that a stable theory can be applied to, time after time. This is EXACTLY what is the case, with the earth/sun/climate realationship. Due to the above, the climate will zig and zag ,but will evolve into an ever increasing colder climate ,as long as the the prolong solar minimum persist. The (SIM THEORY) solar inertial motion theory, suggest that solar cycle 25 and 26 will be quieter then solar cycle 24, and earth’s climate as a result, will enter a brief ice age sometime between 2010-2050. I fully subscribe to this theory ,and will continue to promote it,until proven otherwise. DRAGONTIDE- SOLAR FLUX READINGS -a measurement of solar activity,does not verify your claims. If one looks at the solar flux data prior to Oct.2005 ,along with the AP progression chart, one will find solar activity was much higher prior to Oct.2005, then after. Much higher. I have the data backing up my claims, you have nothing but empty false words. I dare you to post data that shows otherwise. What your talking about has nothing to do with climate. It only affects communications and such. So you think we should ignore AGW, based on the solar cycle 25 theory? Sounds like a very reckless gamble to me. Many people don’t want to debate me anymore when climate is the topic of discussion. Your just one more added to the list. No, I’m not a climate scientist but I don’t leave the debate because I’ve nothing more to tell you, I leave the discussion because I’m sure you don’t understand what are you talking about. I just tell you that the “most precise temperature measurements” which lead to that “measured” 1°C were taken by the wrong way and you argued that the 1°C is a problem because it happened quicker than what “naturally” happened in the Milankovitch cycles… What could I tell you? Much better I return to my job. DRAGON TIDE -That is BS. If you want to believe it ,belive it. Temperatures have been going down since 2002,not up. Lag times have to be calculated. As I have said many times before, it is not just the solar irradiance changes,but geological activity,atmospheric circulation changes, that lead to albedo changes, soi changes, along with the PDO/AMO that all interact together, with the weak sun setting the tables that, evenually impacts the climate. Evenually, is the key word.Not to mention how the earth’s rotational rates are effeced which is tied into the geological effects. You should remember this. A STABLE SINGLE THEORY FOR CAUSE AND EFFECT FOR THE SUN/EARTH CLIMATE REALATIONSHIP CANNOT BE APPLIED TIME AFTER TIME. IT IS A CONSTANTLY FUID SITUATION WITH NEVER ANY TWO PERIODS OF TIME BEING, EXACTLY ALIKE. THE SUN’S IMPACT ON CLIMATE IS VERY NON LINEAR, AND STOCHASTIC. Explain ,please give us an explanation, of all the rapid temperature changes earth’s has had,let’s just take the period 20,000 years ago to 11,000 years ago. Explain how the Ice advanced so far south during that time period ,only to all but fade way up to 13,000 years ago, to then advance 13,000 years ago, and stay for around 1300 years ,only to fade away 11,000 years ago. You said it can’t be the sun, it can’t be man producing CO2, because he did not produce CO2 back then. So if it is not the sun, not the solar system, not man made global climate change, please tell us what accounts for those changes, some of which took place over the span of DECADES. I am waiting for your explanation. CO2 is .04 % of the atmosphere, of that .04%, nature accounts for 97% of it . That means man’s impact on Co2 total concentration of .04 %, is .03 %, and that is going to change the entire climaic system of earth. I DON’T THINK SO! I want to say once again how much I appreciate Dr. Spencer, for allowing people like myself, and you DRAGONTIDE, to express our views on his website. He does not necesarily agree with either one of us ,but he allows all of the opinions to be expressed. He has his own thoughts. I would venture to say no one on this board really agrees with anyone, when you come right down to it. Time will evenually tell who is right, and who is wrong. We should know well before this decade is out. I will say this, if the solar minimum condtions, by that I mean solar flux of mostly below 100 persist, for the next few years and temperatures don’t continue to fall, I will have to evaluate my thoughts on everyting. On the other hand if global temperatures fall, what would you think is or is not happening ,Dragontide? Polar ice (at both poles) can’t melt at the rate they have been melting with declining temperatures. A strong enough volcano or a large enough space body strike can bring about ice age conditions. The AGW process occurs in the “troposphere”. Factoring in the entire atmosphere will get you incorrect results about AGW. What specific geological activities and atmospheric circulation changes are you referring to that have occurred since the mid 1980s? The thing is, we don’t have a few years to spare. If we start right now, we have to cut our carbon footprint 80% by 2020. The longer we wait, the harder the transition will be on us. A strong enough volcano or a large enough space body strike. Earth’s global electric circuit is a thermodynamically open system, driven by EXTERNAL sources of energy. The sun. Solar activity, through Luni solar tides , I think effects the rotational rate of the earth, which in turns churns the ocean waters, perhaps causing warm/cold cycles for the PDO/AMO /ENSO as an example ,along with more/less geological activity. (recent earthquake Piers predicted, due to solar activity) The rotational rate of the earth,and the intensity of cosmic rays also influences earth’s global electric circuit, which extends from the surface to the Ionosphere, about 120km in altitude. Earth’s global electrical circuit is coupled to earth’s geomagnetic field ,which is constantly interacting with solar activity ,due to the charged particles among other items ,coming from the sun. Geomagnetic activity, results in divergent temp. fields, in the middle and upper atm. (due to changes in ozone distributions),influences the QBO, pressure patterns, to name a few causes and effects. Further, geomagnetic activity through it’s interaction with earth’s global electric circuit, seems to have a role in the intensification of storms. As has been the case each time, the sun has had a spurt of activity ,coming off a quiet period. The latest example being this first week of June. Not to forget the concentrations and distributions of ozone in the stratosphere, tied to solar activity (UV LIGHT) which change the temp./pressure patterns at those levels, which in turn, impart changes to various atmospheric oscillations ,such as the NAO,AAO,AO,IOD,IPO , to name a few. The evidence to me is to compelling to be ignored which is what the IPCC ,has and is still doing. How anyone can focus on the narrow minded CO2 and not focus on the material I try to present is beyond belief. It has to be money driven and still I find it so hard to believe that a theory as asinine as man made co2 induced global warming could ever get as far as it has. It will meet it’s ending this decade. DRAGONTIDE -it has started in year late 2005 not the mid 1980’s. Read my previous prior post and you will see what I am talking about. I don’t think you really read what I post. ANOTHE CORRCTION AS OF TODAY,TODAY ANTARCTIC SEA ICE IS +0.314 KM ABOVE NORMAL. GO TO CRYOSPHERE TODAY WEBSITE AND SEE FOR YOURSELF. I echo what DR. H posted. NO TROPOSPHERIC HOT SPOT, EQUATES TO MAN MADE CO2 GLOBAL WARMING THEROY BEING DEAD. That among other items ,I have listed. They have been wrong on everything. As I have said I have never heard of a more ASININE theory then the co2 man made global warming theory. It is quite sad to see a few trolls begin to ruin everything. I’m for differeing opinions and theories, but the crap two individuals spout is obscuring everything else. Nothing but negative attacks have come from them. If there was a calm statement of discussion from them, then it would be of interest reading. Please cease paying attention to them. There is no desire to have an educated discussion, only a predictable rant and your attention is what they desire. So, ignore them. Why? Read the statement below, and my thoughts that follow. The variable output of the sun ,the sun’s gravitational relationship between the earth(and the moon)and earth’s variable orbital relationship with the sun,regulate earth’s climate. The proceses by which the sun affects the earth show periodicities on many time scales ; each process is STOCHASTIC and immensely COMPLEX. The system consisting of the totality of the processes is even more COMPLEX. This climatic system does NOT have a stable underlying structure ,even if some of it’s subsystems do. The total climatic system is NON ERGODIC, meaning it will always and forever feature INCONSISTENCY ,over time. I say good luck to anyone that thinks a slight increase in CO2 of 100 ppm , is going to somehow counteract the above statement, and make the complex climatic system conform to it, because of some silly asinine models ,which don’t have the proper or full ,complete data to begin with say so. Yet that is what many ,I hate to use the word (they are clueless)climate scientist, believe. I say never in a hundred million years!! I think the material I am presenting is the material that needs to be studied and accounts for ALL climatic temperatures the earth has undergone throughout it’s history. CO2 ,has a small place in the scheme of things, that I won’t deny, but to think ,this SMALL increase in CO2, caused by man is going to somehow turn the climate system up side down is CRAZY. It makes no sense. Since sun had it’s most recent spurt from a quiet period,previous two weeks, still quiet on the scheme of things, but a spurt from where it was geological activity has followed. All three since June 01. It feeds into my solar /geological connection theory ,which feeds into my climatic outlook. Mort, if you are reffering to me, I don’t it applies.I am simply expressing my thoughts , and having some give and take with DRAGONTIDE. I think I have given much info. onmaterial that hardly ever sees the light of day ,because of all the wasted time devoted to CO2. Past history alone, shows that the CO2 THEROY, just is not so. Never mind all the recent supporting data, showing just about everything forecasted by the climatic models is wrong. As I said ,this decade will put an end to the CO2 nonsence. Dragontide, if CO2 is such a powerful influence on the Earth’s climate, then please explain why in the past, when CO2 levels were as much as 5-10 times higher than today’s levels, as shown in ice core studies, that runaway global warming DID NOT take place, where was the “tipping point” then? temperature growth due to CO2. Anyone who has even a basic understanding of atmospheric physics knows this. The only debate in climate science is how much the earth will warm with increased CO2. 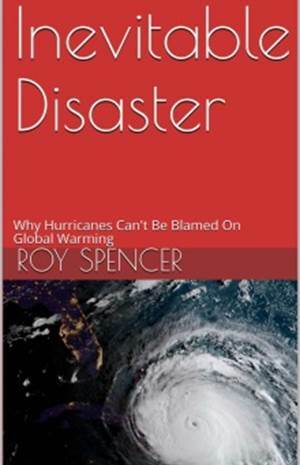 Spencer tries to argue it will be a small rise, the IPCC argues it will be more, and those with a political or economic agenda use senseless arguments like yours to mislead the ignorant. So instead of disproving the green house effect, you have simply proved you have no understanding of physics. I think any REAL scientist or REASONABLE layman who investigated the Bald Eagles resurgence would find it had NOTHING to do with the DDT ban and EVERYTHING to do with the draconian fines and jail time for those hunting, poisoning, and trapping bald eagles, not to mention raiding their nests. Similar laws would have saved the Passenger Pigeons if enough people had cared about the possibility of species extinction back then. Basically suggestions! I’m redoing a 1992 Kia F150 as well as already been gradual going, lots and lots associated with corrode nevertheless i am ‘ should be able to fix it way up good. To make it in to a wonderful off road truck.